The Veeam Backup & Replication solution offers fast, flexible, and reliable recovery of virtualized applications and data. 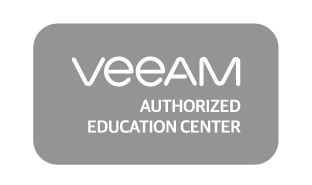 In cooperation with an autorized training partner we offer various Veeam courses. Please contact our customer service for any questions regarding Veeam offerings, you can reach us at +43 1 6000 880-0 or info@itls.at.